I have to admit I think this is equal parts odd and amazing. 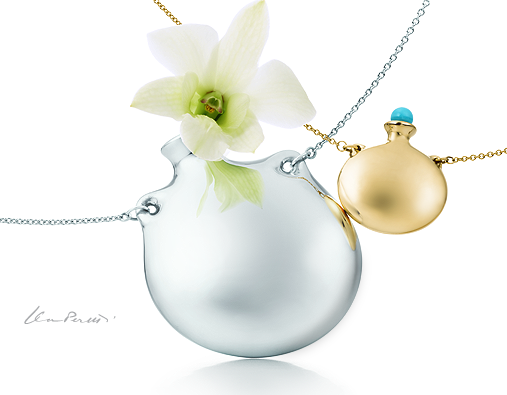 Mostly amazing because it's a beautiful shape from Tiffany designed by Elsa Peretti. However, as much as I love the quality of Tiffany & Co., the price is pretty steep for a sterling silver vase that you have to change the flower out of. Also, where do you get super tiny flowers? In fairy-gnome-land? Etsy has handmade solutions to a lot of problems, like this one. 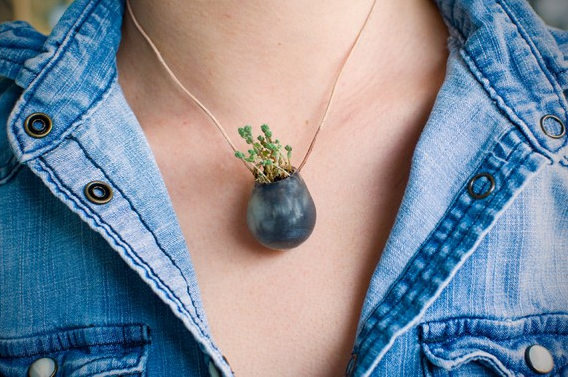 While this little bud vase necklace isn't sterling silver or designer, it's still adorable if it's the look and not the brand you're going for. It is made out of translucent 3D printed acrylic polymer and can hold little fairy flowers as well since it is water-tight. Seller colleenjordan's Wearable Planters come in different sized and shapes.